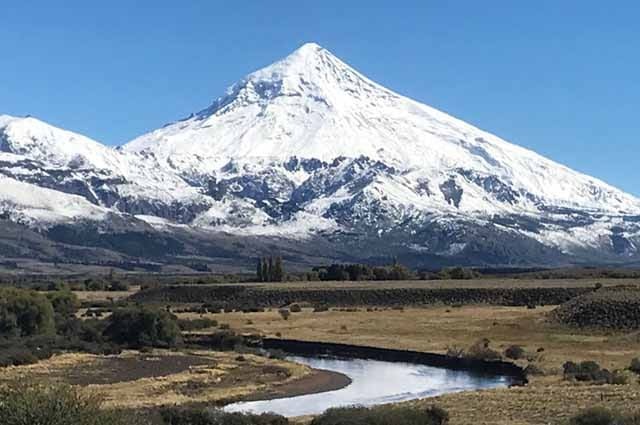 The Malleo River is located at the foot of the snow – capped Lanin Volcano. 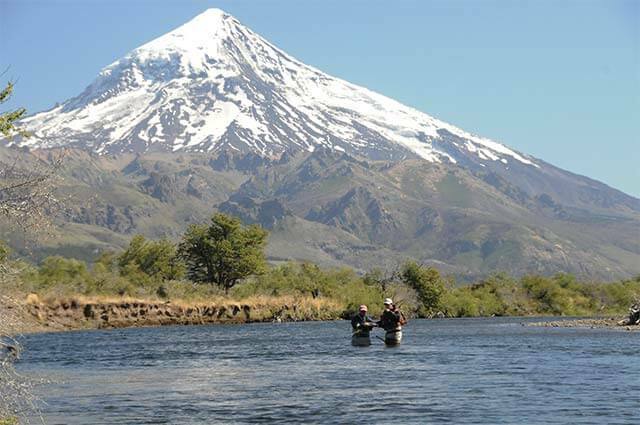 The Malleo River is located at the foot of the snow – capped Lanin Volcano. 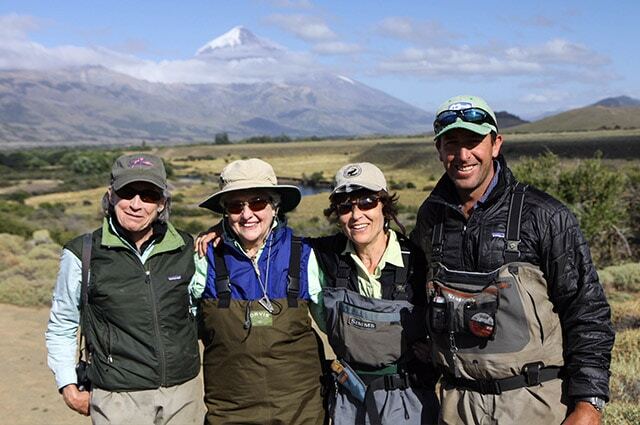 The water feeds off the Lanin Volcano Glacier into the Tromen Lake where the mouth of the river is, therefore it is cold and very rich in minerals, and provides a balanced temperature that supplies a suitable environment for a great variety of insects, thus the reason why Malleo is not only the most famous for dry fly fishing in South America, but one of the best in the world. 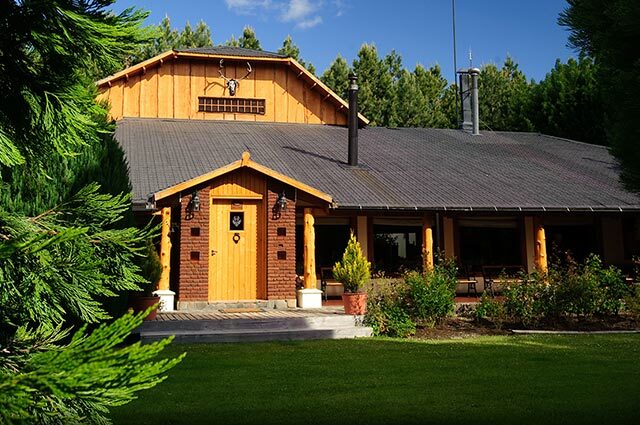 San Huberto lodge offers access to some of the best stretches of the Malleo River, perfect for beginners, being able to cast comfortable distances and being exposed to numerous fishing situations on dries or nymphs. 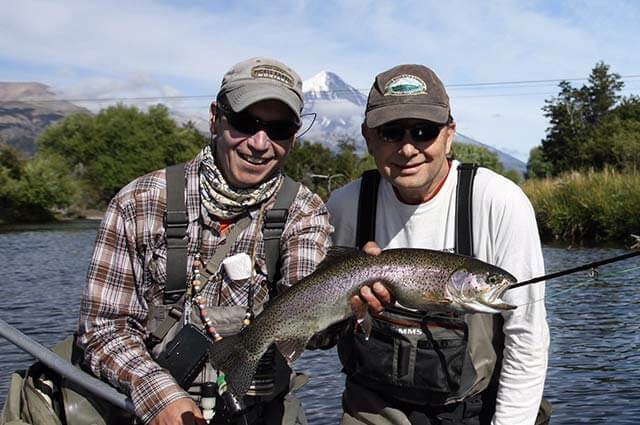 Yet the Malleo is a delight for the expert fisherman that takes pleasure sight fishing for big elusive rainbows feeding on small dries or nymphs in very difficult places. The average size of these fish is between 15 and 17 inches, and some up to 25 are not uncommon. Anglers can expect to land from 6 to as many as 40 fish on a good day. Fishing on the Tromen Lake is another fun option. Lined with volcanic rock walls and overhanging trees, you can cast dry flies and nymphs to big rainbows, browns and brookies cruising the shoreline feeding on the surface. The average rainbow and browns are in the 22 inch range and the brookies between 18 and 20 inches. 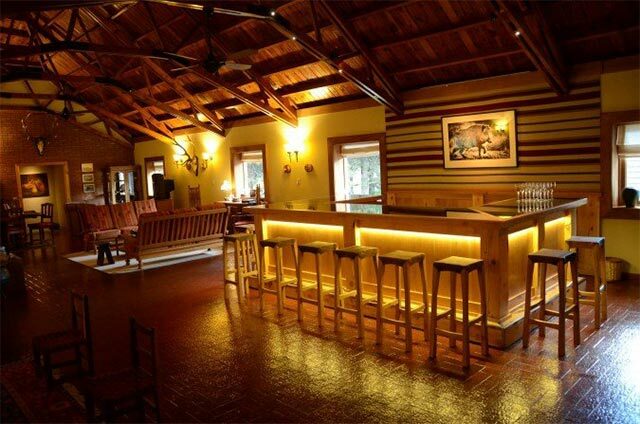 Enjoy this place and family managed classic lodge where every detail has been studied to make you feel just like at your own place.